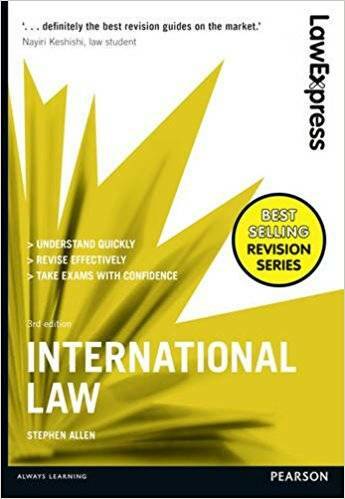 Stephen Allen, "Law Express: International Law (3rd edition)"
Tried and tested by undergraduate law students across the UK. 94% of students polled agree that Law Express helps them to revise effectively and take exams with confidence. 88% agree that Law Express helps them to understand key concepts quickly. Make your answer stand out with Law Express, the UK’s bestselling law revision series. Review the key cases, statutes and legal terms you need to know for your exam. Improve your exam performance with helpful advice on effective revision. Maximise your marks with tips for advanced thinking and further debate. Avoid losing marks by understanding common pitfalls. Practise answering sample questions and find guidance for structuring strong answers. Hone your exam technique further with additional study materials on the companion website.